As we passed in front of the cathedral in Barcelona, we were handed a tempting flyer. 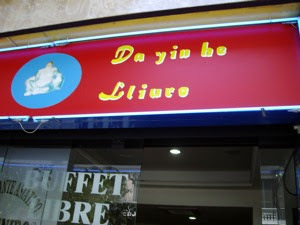 Da Yin He - Buffet Libre on a Asiàtico-Japones restaurant. As both Terje and I have great experiences with Asian buffets - AND the eat-as-much-as-you-want-offer for €6,85 made this a tempting offer. I wish we had not gone - it was terrible!!! Da Yin He is located at Fontanella 15, by Placa Catalunya. 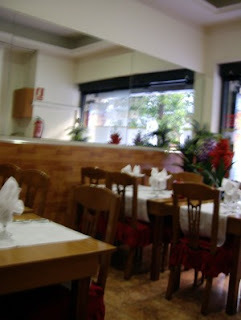 It is easy to find, but as it is situated in a busy street it is hardly the ideal place to choose for a good meal. Hardly an inspiring interior, but I never pay any notice to this in Asian restaurants, as some of the best Chinese buffets have been served in rather uninteresting interiors. White walls, wooden furniture, white tablecloths. The buffet was located in the back of the restaurant. It did not seem to be the most hygienic place serve yourself, as dirty dishes were standing close to the buffet - hardly an appetizing sight for the guests to see on their way to the food. €6,85 for 40 different dishes (€8,55 during night and weekend) is hardly expensive, depending on the food. However - in spite of the low price, you are adviced to spend your money more wisely - somewhere else!!. Even at this low price, I think Da Yin He was a terrible choice. Go and eat some tapas. It is much better. This is BBB- but the rating average is 2,75. Hardly the best score for service!! Well, it looks great, doesn't it? Do not be fooled. 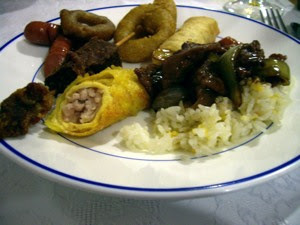 The buffet had 40 different dishes, if you counted. I took this plate first. Two sausages - hardly Chinese, very boring! The fried squid was overcooked, tough, and the deep fried batter was not crisp, but moist and sticky. The pork on skewer was dry as wood, hard and crisp. The fried beef with oyster sauce (?) had a strange unfamiliar taste. The roll made from tofu (I think), was filled with meat. What had died in here? I would not know!! We had a second helping, but it held the same standard, either strange or tasteless. The beer, Tsing Tao was the only beacon shining in this culinary darkness. 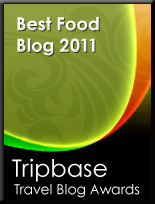 Do not be fooled - look at the rating of the food, and go else where!! 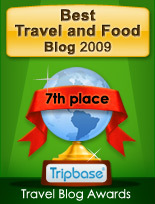 Looking for a better place to eat?